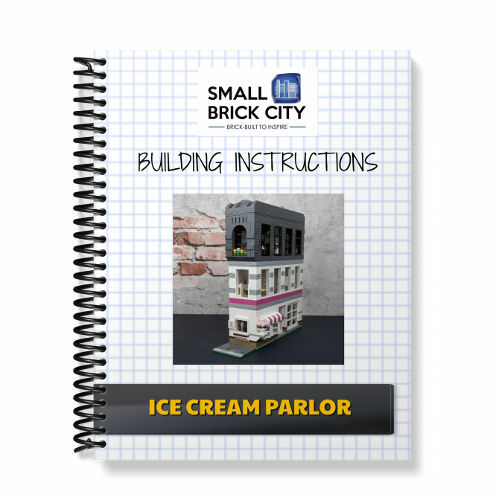 Learn to build this sleek LEGO Coffee Kiosk MOC that features interior details designed by Small Brick City with these digital building instructions. 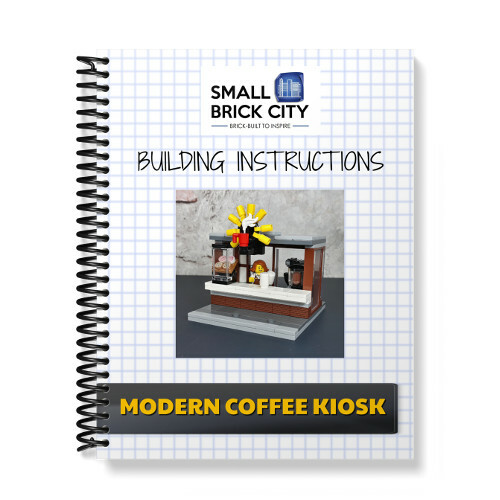 This is a modern coffee kiosk that is set on a 12 x 12-stud base. However, the actual kiosk itself measures just 6 x 12 studs in area size. It is perfect for a custom LEGO city sidewalk, mall, amusement park or tourist attraction. It has a modern design with a lot of glass panels and a large counter top. The roof is modular in style and can be removed so the interior can be accessed easily. The interior of the kiosk features a blender and coffee machine on a counter as well as a cash register on a counter with drawer. 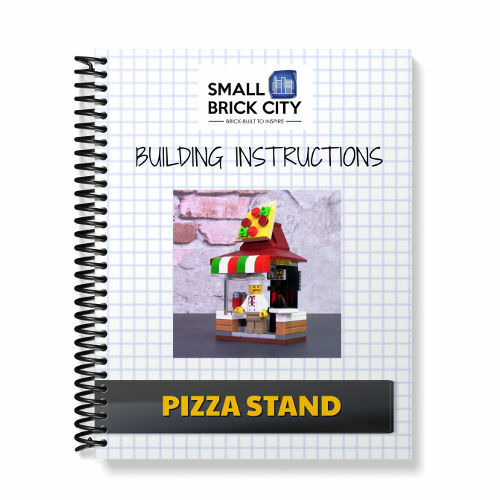 This product can be purchased as part of the Coffee Kiosk & Cart Combo here.